Attention Roy Lichtenstein fans! The Pop Artist’s estate has collaborated with Barneys New York and the Art Production Fund creating a limited edition collection of home goods with some of the artist’s iconic images from the 60s and 70s. From beach balls to trays and tableware, paper cups and bags, it’s sure to please even the Lichtenstein-ignorant. What caught my eye, however, were the store’s windows when passing by a few nights ago. 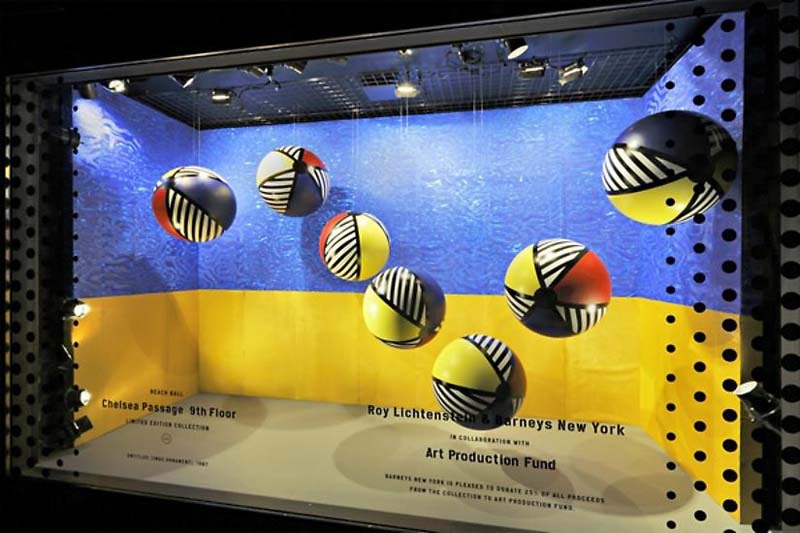 Oversized reproductions of the items hang colorfully behind the glass, as if Lichtenstein’s painting have come to life. Watch the video below if you’d like to see the installation process; an art in itself. Definitely on the pricey side, but 25% of all the sales of the collection benefit the Art Production Fund which supports public art projects, so there’s that. Photos courtesy of The Art Production Fund. 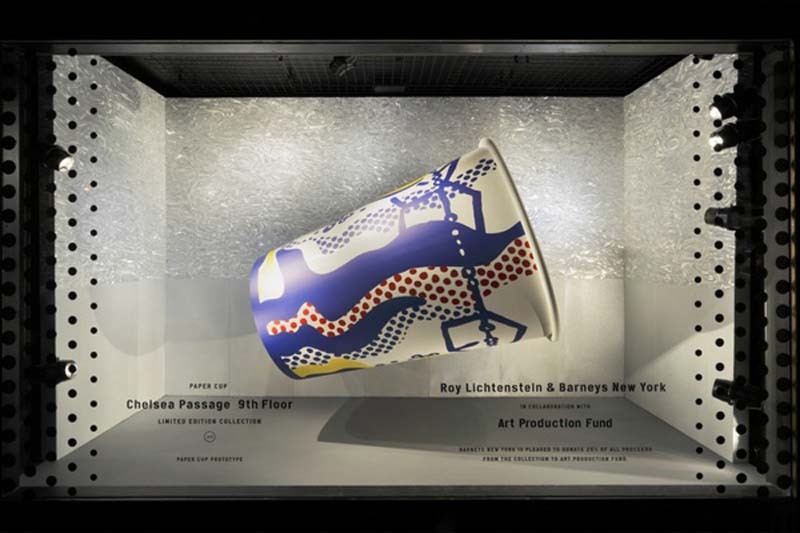 This entry was posted in Art, Event, Fun, Industrial Design, NYC, Pop Culture, Stuff We Like. Bookmark the permalink.